The Legend of Zelda: Breath of the Wild, is easily one of the greatest games of all time, having received universal acclaim (with some exceptions) since its release. Many critics praised how it has become a landmark game for Open World style games, as you could literally explore everything around you saw up till the very obvious world borders defined by endless deserts, bottomless cliffs, and endless oceans. Exploration was its main selling point and it truly did deliver. Though it does end up making use of not 1, but all 4 different joys of discovery. This editorial will talk about the first 3 joys: Geologic, Mechanics, and Content. First, let me give a quick overview on what “The Joy of Discovery” is. While the term could be interchanged with “exploration”, that term is often attributed to the most popular joy, which is Geological Discovery. For the sake of ease, I will define “The Joy of Discovery” simply as “the joy of finding something new”. That being said, let’s get started. First of all, let’s start with the most popular joy: Geologic Discovery. This is what most people think of when they hear the term “exploration”. The joy of Geologic Discovery is simply “the joy of finding new locations”. 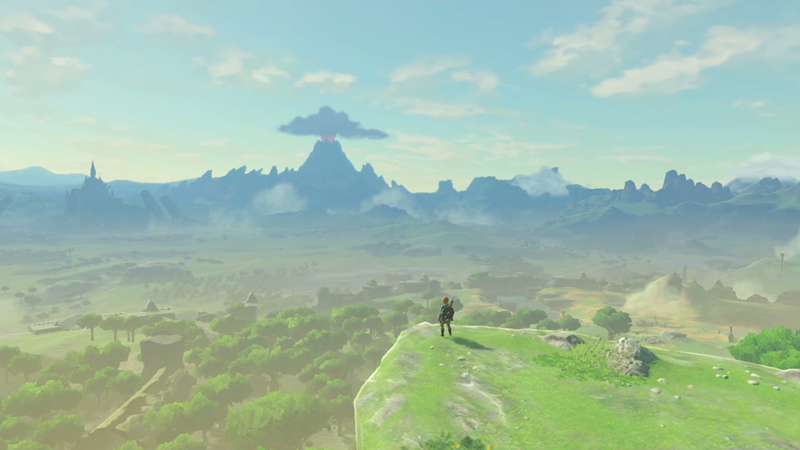 Any game that has a handcrafted open world or a procedurally-generated yet still interesting world will take this joy and run with it, Breath of the Wild included. While I know it was a major selling point to the game, it is still important to know how the game implements it. I’m sure many of us have spent a decent chunk in Breath of the Wild running around, seeing new locations and challenging ourselves to get to new locations, with the game rewarding us either with a Korok Seed, a Sheikah Tower, or a new Shrine to complete. Unless you’re doing these things merely as a chore just to complete the game as fast as you can, there’s joy in discovering these locations. While this same mechanic could be said for map markers for your main quests, I will save those for Part 2 when I talk about Narrative Discovery. All in all, the aspect of Breath of the Wild that best embodies the joy of Geologic Discovery would be its Overworld. The second joy is the joy of Mechanics Discovery. This joy can be best described as “the joy of understanding subtle facets or different elements of a game’s mechanics”. This joy applies to mechanics you figure out only to want to see how much more about them you could discover. For example, let’s use Breath of the Wild‘s runes. They provide different physics-based gameplay depending on how they’re used and are vital to completing the game. Other examples of mechanics in Breath of the Wild include Shield Surfing, Parrying, Dodging, and performing a Flurry Rush after a Perfect Dodge. Anyone who has used their knowledge of game mechanics to take on enemies can easily relate their joy of, for example, the first time they took down a Lynel, which is one of the hardest enemies in the game to take out. The best example, though, of which aspect in Breath of the Wild embodies the joy of Mechanics Discovery happens to be the different shrines and dungeons. 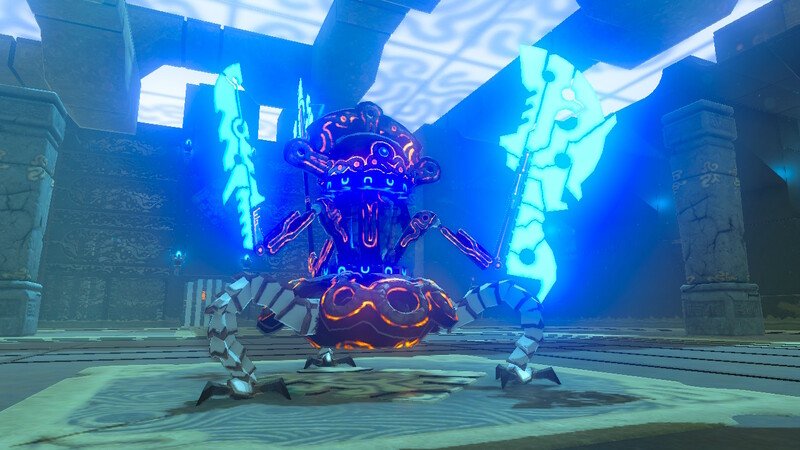 While there are a few that lose their joy after a while (Specifically, the Tests of Strength), every shrine takes a different concept or mechanic that requires a good amount of puzzle solving skills to finish and each of them has a “Aha!” moment attributed to it. That’s the joy of Mechanics Discovery in action, and one which the different dungeons of the game also follow, as they take different new mechanics and leaves the player to gain an understanding of them. The third joy is the joy of Content Discovery. While this is similar to Geographic Discovery, this joy focuses on the joy of finding new items or stuff in locations rather than the locations themselves. This is where, once again, I mention Korok Seeds and Shrines, though it’s under a different context. There’s a difference between finding a new location and accidentally discovering a new Shrine (Location Discovery) as opposed to scouring the world looking for a new Shrine (Content Discovery). 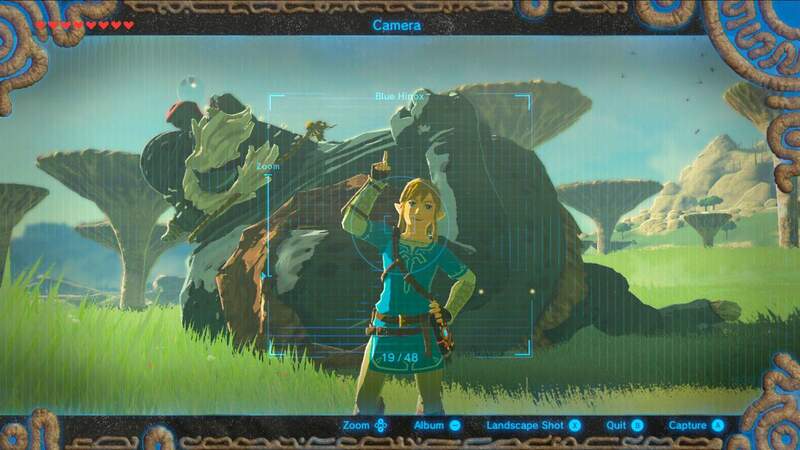 If you’ve looked around Hyrule to, for example, find the 3 dragons hidden around the land, then you’ve experience the joy of Content Discovery. This brings me to the aspect I believe embodies this joy in Breath of the Wild: The Hyrule Compendium. The Hyrule Compendium is your album of different materials, weapons, creatures, and enemies that you can take pictures of using your Sheikah Slate and your inventory is more or less self-explanatory. The Hyrule Compendium may be a stretch, but if you’re someone who wants to see it filled and doesn’t want to just buy the pictures, then you’re probably going to be out hunting for that item you think you need. Unless it becomes more like a chore, you’ll probably experience the joy of Content Discovery for finding that item and seeing how it could be used or where it could be found. I will admit that the Compendium might be a stretch, though it is still an example of how Nintendo implemented that joy. Another example I will bring up really quickly is simply the inclusion of the Green Tunic and Hylian Shield, which I know many players have scoured the world to obtain both items after hearing they were going to be in the game. Finally, while I would love to go over the final joy that Breath of the Wild makes use of, it is one that is critically underrated and almost never spoken of, despite tieing into a large talking point of the Zelda Community regarding Breath of the Wild. That joy is the joy of Narrative Discovery, which will have to have its own post, as there is a lot to go over with it, since it subtly ties in to the first 3 joys. That being said, did you guys enjoy this editorial? Did you notice these different joys as you played? Let us know in the comments below!